Sure, all of its predecessors like the “Rollercoaster”, “Supernova” or its big brother the “Alligator” would be interesting subjects to analyse in terms of taste and historic price evolution too. But we start our Ardbeg exploration with the Galileo. This whisky is a great example of what makes Ardbeg one of the most famous scotch whisky distilleries. Prior to its release there were numerous rumours about its age statement and whether it contains some of the space whisky, that was sent to the ISS to investigate the effect of gravity on whisky maturation, or not (it doesn’t). No wonder that these pre-release discussions and the generated hype reminded many of a fruity smartphone producer and we think it is thoroughly appropriate to call Ardbeg the “apple” of the scotch whisky distilleries fruit basket. In our distillery ranking, we find Ardbeg at the overall 13th place and on place eight when only considering scotch whisky distilleries. 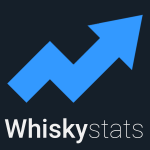 Furthermore, the 100 most traded Ardbeg whiskies experienced the second highest increase in value among the still active scotch distilleries, only behind Macallan of course. For those 100 Ardbeg bottlings, we observed tremendous price increases during the first half of the years 2013, 2014 and 2015. In the first six months of 2013 prices climbed by 15%. In the first six months of 2014 prices climbed by more than 18%. And to top it all in the first six months of 2015 the value of those whiskies climbed by almost 25%! Since then though prices remained at that level and the January to July Ardbeg price rally wasn’t repeated in the year of 2016. To assess the taste of the Ardbeg Galileo we again requested support and teamed up with Great Drams, a platform to read and enjoy great stories about spirits, their histories and the faces behind the labels. Very interesting for us is that you also find plenty of tasting notes from most major scotch and japanese single malt whisky releases. Among others, a recent tasting note for the Ardbeg Galileo, which we will quote now. Ardbeg as a brand are known for their big flavours and peaty expressions, and this dram is no different, despite having spent time in orbit. Nose: The nose does not give away a lot of peat initially, but there are smoky notes that provide a bit of a warning of what is to come. For the most, the nose is sweet and tangy, with lots of pineapples and oranges. You will be salivating at the ripe fruit juices that combine with a smooth, coconut flavour to create a tropical dram. It may have spent time in space, but with the tropical fruits in this nose, you’ll think it had been to the Bahamas instead. The nose ends with a wonderfully spicy note that gives a bit of warmth to the smoke. Palate: And on the palate this flavour is a lot more obvious. And by obvious I mean it is a smoky punch to the face. But in a good way. This is definitely a member of the Ardbeg family, with plenty of peat and smoke to keep their fans happy. This combines well with the tropical fruits and offers a subtle backdrop for them to jump out from. There is also a great toffee and hard caramel flavour to provide something more saccharine to the palate. This goes perfectly with the thick Ardbeg smoke. The mouth feel also goes well with the caramel, as it is smooth and luxurious. There is a slight nod towards pepper as well, which adds a certain warmth that goes hand in hand with the creaminess of the caramel. Finish: This dram has a strong finish, with plenty of smoke and cream. It goes down easy and will leave you wishing they sent Whisky into space more often! So Great Drams think that the Ardbeg Galileo is indeed a great dram and end their original review with the statement that this is one of their all time favourite whiskies. The Ardbeg Galileo is a great whisky produced by one of the most famous and most wanted scotch distilleries. Therefore, it is only consequent that it belongs to one of the most traded whiskies of them all. In our database we find 622 price observations. The Galileo was released in 2012 and to our knowledge the primary market prices varied around 60 to 80 Euros. The first auction results come from September 2012 and ranged from 150 to 200 Euros. The prices than dropped below 150 Euros where they stayed until July 2014. From there on it were especially the bidders at ScotchWhiskyAuctions.com (red dots) which pushed the prices beyond the 200 Euro threshold and even close to 250 Euros. Prices at WhiskyAuction.com (yellow dots) stayed consequently below their UK counterparts through the years of 2014 and 2015. The current price level for the Ardbeg Galileo seems to be somewhere between 150 and 200 Euros. Compared to the issuing prices from four years ago the value of the Ardbeg Galileo almost tripled. In our database we also find a rarer 750ml expression of the Ardbeg Galileo. For this we only observed thirteen prices but the overall trend seems to be very similar to the standard bottling. Prices dropped after the first appearances on the secondary market only to come close to 200 Euros in 2014 and 2015. Back at its introduction, the Ardbeg Galileo had all the ingredients which were necessary to become a secondary market favourite. 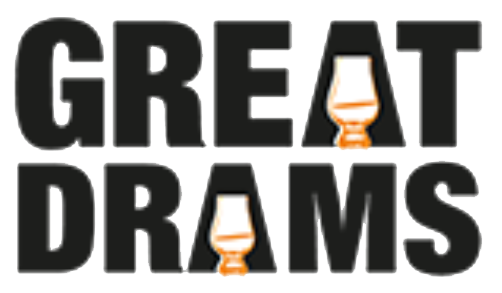 There was a big release hype, a nice background story, a highly renowned distillery and last but not least good tasting reviews. If we put aside the initial hype, the secondary market performance is pretty solid and lived up to what one could have expected. Compared to retail prices, the value almost tripled and even the secondary market prices climbed by 65% over the last three and a half years. This topic contains 0 replies, has 1 voice, and was last updated by Whiskystats 2 years, 8 months ago.